HI, I love model horses, unicorns , beanie babies, and of course my kids! nelsonsfla doesn't have any items in their booth! Exceptional repeat buyer! Excellent communication and fast pay. 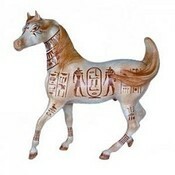 Breyer Horses from this seller are just Beautiful! Fast safe, reasonable shipping from friendly seller. It doesn’t get any better than this! !